Topic April/May 2018. Before James Bond was invented the Legion of Frontiersmen had at least one of its own adventurers, womanisers and Intelligence gatherers – that is if you believe the writings of Tom Cushny. Fortunately his accounts of his life written for Frontiersmen magazines were far less colourful than that which he wrote in his autobiography. This was first published in 1967 and appeared under two titles “Legionnaire No. 31022” and “Escape from the Legion” – no, not the Frontiersmen but the French Foreign Legion. By the second page of the book he had already seduced a novice nun: “…once you get a nun out of her dark habit and boots – she is just like any other woman” and continued much in the same vein. We will draw a polite veil over the stories he told of the many other young women with whom he had involvement. He then claimed he was training for a commission in the army when the war ended and as he was no longer needed he looked for a job with the prospects of going to China. He thought this was too tame so decided to enlist in the French Foreign Legion. This disagrees with his account in his autobiography where he said he had been selected age 21 as a pilot in the Royal Air Force but failed the medical due to his colour vision so, disappointed, decided to join the Foreign Legion. British records show him as a seaman in the Merchant Navy in the final year of the war. According to the announcement of his marriage in a 1927 “Frontiersman” magazine he had been “four years in an Officers’ Training Corps followed by two years and eight months in the London Scottish…” Something odd there? became aware of the danger to the new Naval Base then under construction in the Straits of Johore being out-flanked by the simple manoeuvre of establishing an enemy base in Coconut Bay, 150 miles due south. Here lay a vast anchorage in a commanding position, cutting the sea route to Australia and sealing off Singapore. A feature that struck me as unusual was the presence of some half dozen German engineers, in good jobs, with the Banka Tinwinning. They all spoke excellent English and were all rattling fine types of men, so it was natural that I should become friendly with them. They appeared to despise the Dutch and hold themselves rather aloof from them. I learned that they had all served with the German cruiser ‘Emden’ or her feeder ships in World War 1 as engineer officers. They had operated from the neutral territory of the Dutch East Indies by sheltering in the numerous islands of the Rhio Archipelago, where her feeder ships ran the gauntlet of the allied blockade and kept her supplied with everything from a pin to torpedoes. It was with great skill and superb intelligence that they not only evaded the drag-net of an Allied Naval Force, but inflicted heavy losses on allied shipping along this vital trade route to Australia, the Far East and Europe. At this time Britain was already putting down test holes for what was to become the great Naval Base of Singapore, against which, they fondly believed, the might of Japanese Naval Power would one day dissipate itself. In the light of the information that I had collected, I came to the conclusion that by skilful utilization of the Dutch East Indies the Japanese, too, could partially neutralise the value of the Base at Singapore. I am in receipt of information from one of our members who is travelling in the East relating to a Coding Station in Sumatra, and I have been advised by Captain H. Simpson, Private Secretary to the Adjutant-General to bring it to your notice. No record of a reply or any subsequent meeting is in Legion archives. There could be a number of reasons for this, not least that the authorities were always unsure of any information coming from the Legion of Frontiersmen, although there are other factors to be considered. As to codebreaking, from April 1922 this was taken over by the Foreign Office. Even before the Germans introduced the Enigma machine, Britain had very little success in breaking German codes. In spite of the fact that they were allies, Britain regularly decrypted American and French codes. * What British Intelligence was most interested in was Russia. As we know from other items on our websites, the main fear in Britain was of Bolshevism and revolution and unrest spreading from Russia. Perhaps, had the British shown a bit more interest in Intelligence gathering in The Federated Malay States and the Dutch East Indies rather than concentrating their limited resources on Europe, they would have been more prepared at the start of W.W. 2? In 1927 Cushny gave up sewing his wild oats and married the very attractive Madeline Horley, with whom he had two daughters and a son. In 1929 Cushny was transferred to Kenya, where he again served the Legion this time under Lt.Col. Driscoll. In 1934 he moved to Zanzibar which was ruled by the Sultan under Britain as the protecting power. This was not a Protectorate as the Sultan ruled, but he had the British Resident as Adviser. In February 1936 there was a riot mainly due to the Mange Arabs of whom there were some 18,000 living in and around Zanzibar, so the majority of Europeans were armed and equipped as Special Constables. The Port Captain delegated Cushny to take a Customs cutter with 25 men and intercept an Arab dhow from Muscat which was in the harbour and believed to be loaded with arms for the rioters. On boarding the dhow, Cushny discovered 170 Arabs with a cargo of some hundreds of weapons. The dhow was taken in tow and unloaded in the harbour, then allowed to anchor in a position where it was covered by the Shore Battery. After several more alarms and patrols in the city the tension died down. An enquiry determined that the riots were an attempt to take over the government by force and massacre all Europeans. Cushy received official Commendations from the government and from the Sultan of Zanzibar. The Legion also awarded him their Meritorious Service Medal. The L.M.S.M. was introduced in 1931 to be the one Legion award and given only for some truly noteworthy action. Consequently in those early days few were awarded. Aware that war with German was inevitable, Cushy and his family returned to England and settled in Cornwall. Considered too old for a commission, he joined the Duke of Cornwall’s Light Infantry as a private, rising quickly to Colour Sergeant before being commissioned and drafted to France. He was one of those who fought their way back. Dunkirk was over so he was one of a number who were rescued by the Royal Navy from the Bay of Biscay. There can be no question as to his bravery, not only from his early exploits, but from WW2, where after returning to England he served in Ireland, India, Persia, Palestine and the Western Desert, rising to the rank of Major. After the war he worked until 1948 for U.N.R.R.A. (U.N. Relief and Rehabilitation Administration) in France, Germany, Switzerland, Italy and Trieste and for that service was awarded an official Diploma of Merit. He then moved to live in South Africa where he died in 1977. “…gasps of approving wonder seemed to be coming from her as she watched me peel off various items of clothing. ‘My! You are strong,’ she said. Photograph of Cushny’s wedding at best resolution possible from “Malayan Saturday Post” 30 April 1927, p.28. Copyright: Newspaper SG, Singapore Government. 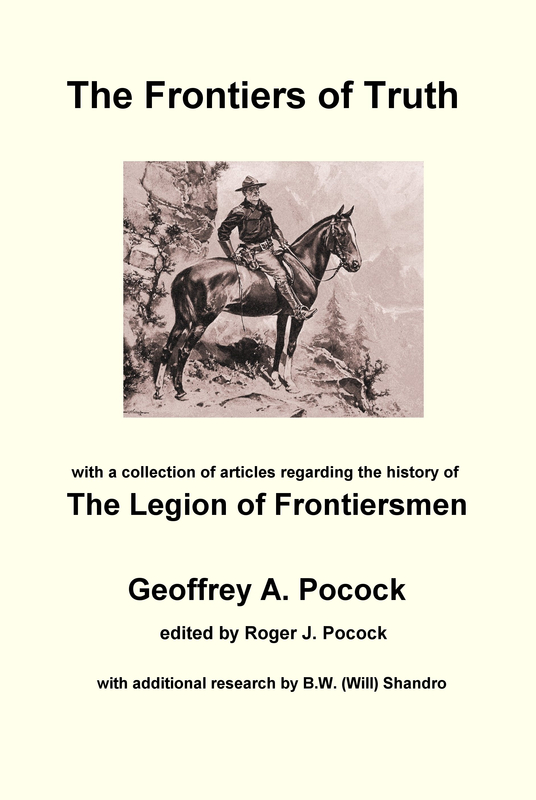 This entry was posted in Frontiersmen, History, Latest Topic, Legion of Frontiersmen and tagged codebreaking, Federated Malay States, French Foreign Legion, Zanzibar. Bookmark the permalink. Fascinating to read and to know he left a biography too. Worth noting he was not the only adventurer in his immediate family – his brother John Cushny was an electrical engineer working for Metropolitan-Vickers Manchester Engineering Firm in 1933, in Soviet Russia. He was one of 6 British engineers arrested, interrogated in Lubyanka Prison, Moscow by UGPU and put on trial charged with sabotage and espionage and bribary etc. A sensational trial ensued, reported in every newspaper around the world for weeks. If you have access to any of the Newspaper Archives – well worth reading about the case. Plenty of photos too. Thank you for the information about the brother. They were an interesting family. Even the father was adventurous getting involved in aiding Tom Cushny’s escape from the French Foreign Legion. We are hoping to have additional information in the future, but it will have to wait until a member of the history team can visit South Africa and research.